Louisa Ackermann, Communications Officer at Birkbeck, reports on Arts Week event Wrestling with Words, a conversation between Toby Litt and Wes Brown which explored writing, fighting and being a man. What do we mean when we talk about masculinity? Is it an authentic sense of self, an identity, or is it a performance, carefully crafted and skillfully executed? On Friday 18 May, Toby Litt and Wes Brown joined in conversation to discuss their lives as writers and wrestlers, and how they have questioned what it is to be a man through these dual occupations. Both have a family background of wrestling: Wes’s father was a pro-wrestler, meaning the scripted type performed in WWE, where characters are outlandish and outcomes are predetermined; while Toby’s great-great-grandfather was William Litt, a Cumberland wrestler who reigned undefeated and took home over 200 prize belts during his nineteenth-century career. Toby, a Senior Lecturer in Creative Writing at Birkbeck and author of Wrestliana opened the event with a reading from his book, which he was inspired to write in an effort to find out more about his ancestor and the fascinating life he led. William had written his own book, also called Wrestliana, which Toby used during his research process while learning to wrestle himself in a sports hall in Carlisle. “All the way up, on the train, I read and reread the practical bits of Wrestliana and thought about how – in five hours, then four hours, then three – I could be riding in an ambulance. “I knew fairly certainly which injuries I feared most. I’d constructed a sliding scale. But much to his surprise, he not only emerged without injury but won the match, and was free to continue on his research journey asking questions about competition, success and modern-day masculinity. 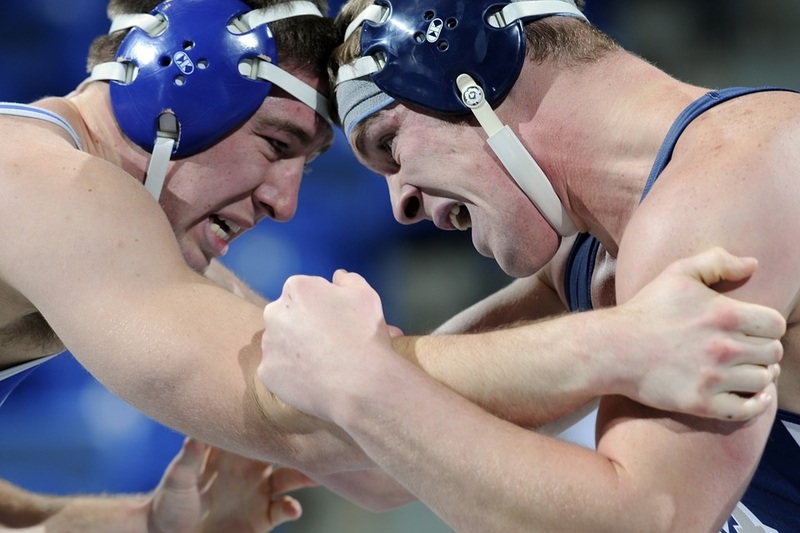 Indeed, it was clear that for both speakers wrestling had become something which both informed and was informed by their perceptions of their own masculinity. Wes described a struggle to feel sufficiently manly while growing up as a sensitive boy in a working-class community, where many of the men worked in manual jobs, and found that wrestling was a way to assert a type of manhood on his own terms. 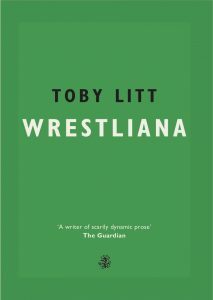 Wrestliana by Toby Litt is available from Galley Beggar Press. Category: Arts Tags: Arts Week, arts week 2018, masculinity, wrestling, writing by Louisa.